Dr. Jun Murai is known as the ‘father of the Internet in Japan,’ and, outside of Japan, has also been called the 'Internet samurai.’ In 1984, he developed the Japan University UNIX Network (JUNET), the first-ever inter-university network in that nation. 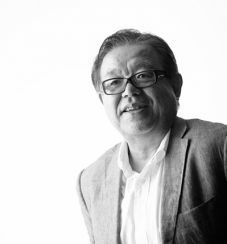 In 1988, he founded the Widely Integrated Distributed Environment Project, a Japanese Internet research consortium, for which he continues to serve as a board member. He is a professor and dean of the Faculty of Environment and Information Studies at Keio University, from which he earned his PhD in computer science in 1987. He served as President of the Japan Network Information Center (JPNIC) and as Vice President of the Japanese Internet Association. He served on the Internet Society’s Board of Trustees from 1997 to 2000. In 1998, he was appointed as one of nine initial directors of the Internet Corporation for Assigned Names and Numbers and served until June 2003. He won the 2005 Internet Society's Jonathan B. Postel Service Award in recognition of his vision and pioneering work that helped spread the Internet across the Asia Pacific region. He was honored with the 2011 Institute of Electrical and Electronics Engineers Internet Award.